Century Bob Sparring Partner | BUDK.com - Knives & Swords At The Lowest Prices! 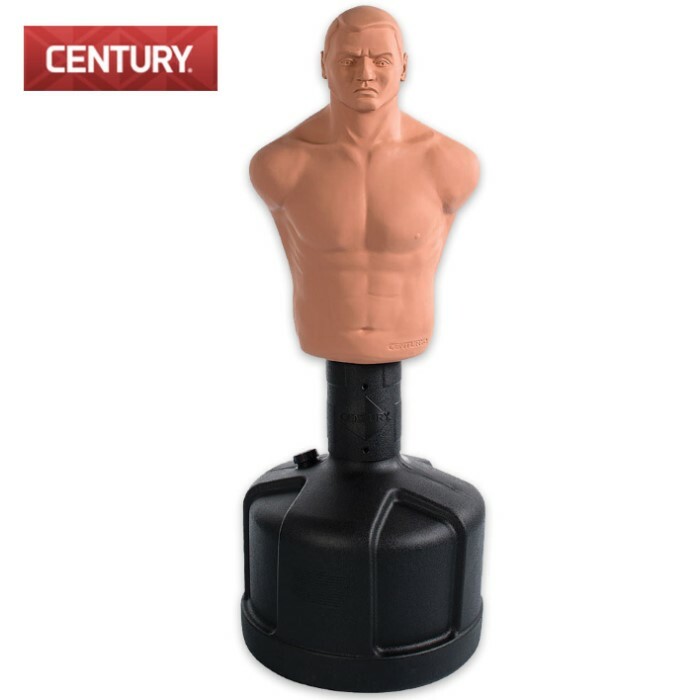 A great partner for sparring techniques or target work, the original BOB, Body Opponent Bag, is a life-like mannequin with a vinyl “skin” for more realistic self-defense training. BOB features seven height adjustments from 60” to 78” tall. BOB can be used with or without gloves, and is ideal for punching and strikes. Also look for the BOB XL, which has a longer torso for more training possibilities, including kicks. The manikin is 30” x 22” x 12” and the base is 24” x 19 1/2”. When filled with water, it is approximately 270 lbs.